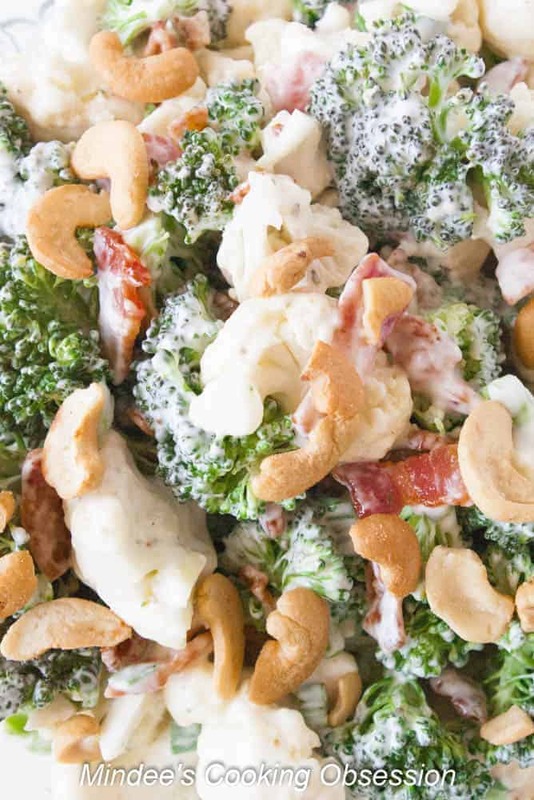 Broccoli Ranch Cashew Salad, a simple side dish that even broccoli haters love! The extra crunch of cashews makes this salad extra special! 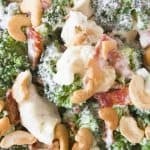 Broccoli ranch cashew salad is one of my husbands favorite salads and one of the few that ALL my kids will eat. Yes, one of them only picks out the bacon and cashews, but I’ll take it! 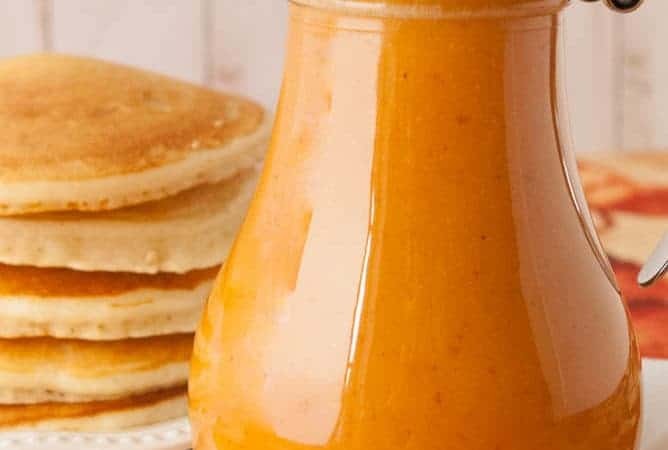 This is also a great one to take to share at picnics, barbecues, family dinners, etc. 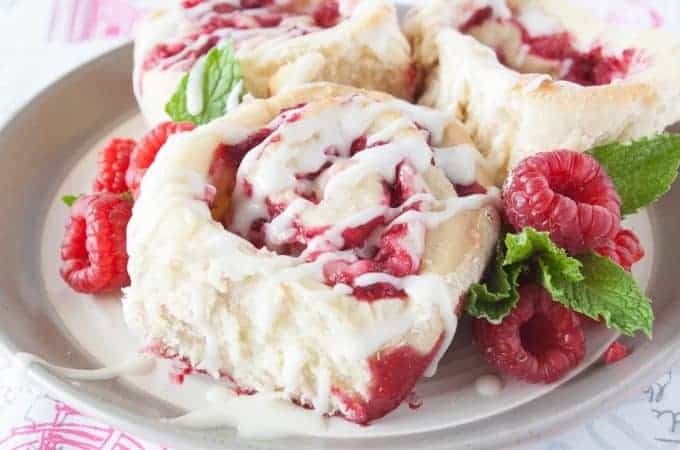 You need very few ingredients and it takes very little time to make. Read on and I’ll tell you how. You’ll need 4 heaping cups of bite-sized broccoli. I think I used 3 large broccoli florets and as you can see I filled my 4 cup measuring cup to the top. Next you’ll need 4 heaping cups of bite sized cauliflower. This is about 1 small cauliflower head. My measuring cup was a little fuller than I’d like this time, but I would rather use up all the cauliflower than put a few pieces back in the fridge. Then toss the broccoli and cauliflower with 1/2 lb bacon that’s already been cooked and crumbled and 4 green onions that have been sliced up thinly with 1 cup ranch dressing. Whenever I use ranch dressing in a recipe I have to get on my soapbox and rant about ranch dressing. I never, ever, ever, use pre-bottled ranch. It has an overpowering vinegary flavor that I find unappealing. So I buy the Hidden Valley Ranch dry mix, the one you add milk, not buttermilk to. The difference in taste will amaze you. Ok, speech over. When it comes to the cashews, I don’t add them until right before I serve this salad because they will get soggy. Cut up the broccoli and cauliflower into bite sized pieces. Slice up the green onions. Cook and crumble the bacon. Toss the broccoli, cauliflower, green onions, and bacon with the ranch dressing. Toss in the cashew right before serving so they don’t get soggy. *I NEVER use pre-bottled ranch dressing. I use the Hidden Valley Ranch dry mix that you add milk not buttermilk to. Just saw this on Pinterest and had to save it! I’m loving the flavor combo and can’t wait to try this recipe!